Located in the best location in Mumbai, Hotel Sea Grand is as the name suggests is right by the sea, close to Colaba Causeway and the much-visited Gateway of India. 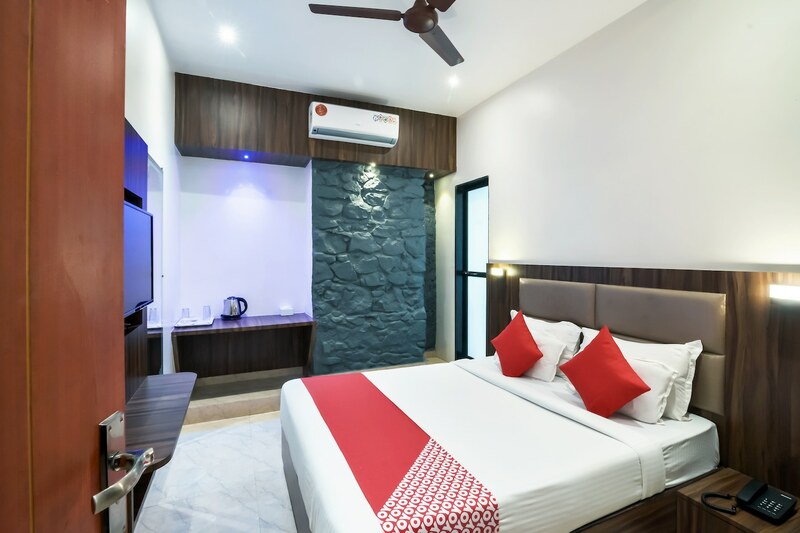 The rooms are uniquely decorated with upholstered beds, excellent wood work and rocky design on a wall which looks very realistic. They are spacious and brightly lit. The hotel is outfitted in a wonderful and pleasant manner with amenities, services, and conveniences in order to make for a memorable stay including free WiFi, CCTV cameras, and card payment facility. You have access to scenic views right outside and seaside rooftop cafes for delicious food. Take a ferry out to explore the UNESCO World Heritage Site 'Elephanta Caves' for a remarkable day out.